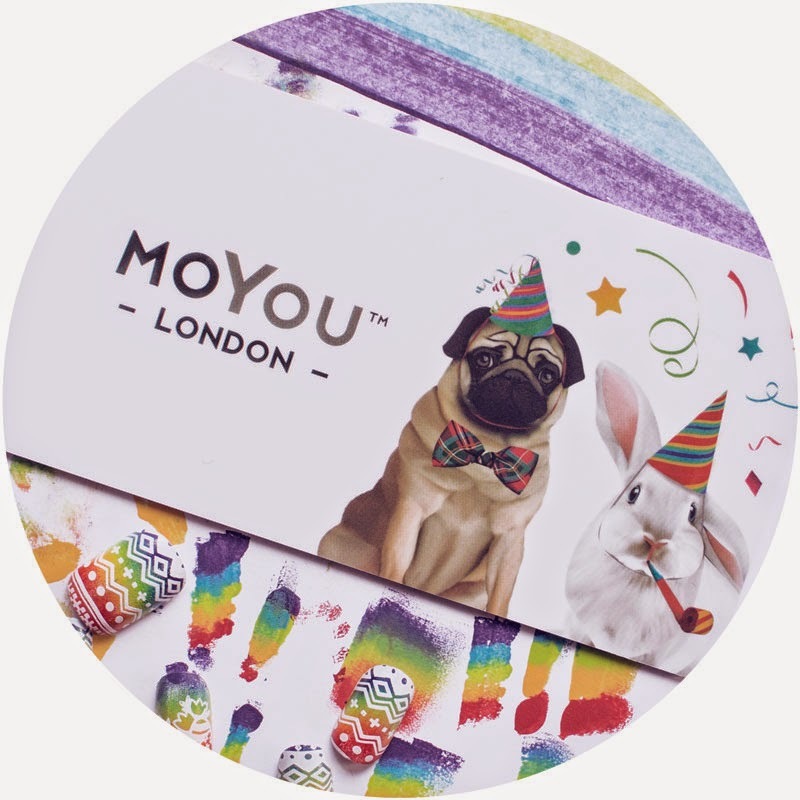 Hey MoYou London in the infamous words of another famous little bunny - "What's up doc?" In my own words "Do I smell Easter flavored tribals? Gimme!" Hoooo! (Btw that's my country noise for excitement). Hoooo! These are so soft and delicate! Really don't bring me to tears like this MoYou. These are just so perfect. In my head I'm scrambling around to find my pastel polishes. You called me right Mo You? Said something like girl we got some PLATES for you hunty! And I replied....please lord tell me you made this in an XL formulation cause this plate is so so awesome! And you oh so willingly obliged! I am feeling very very satisfied right now. I'm also feeling like I need all these plates. Yes ALL of them! And then I saw that MYL decided to create a special backing for these plates too and that just sealed the deal! 1) The bunting banner on the first plate says "eeg hunt"
2) The "hello spring!" image isn't on the XL plate, and my nails are too wide to use any of the other standard images, so I'd be paying $6 for that one image. 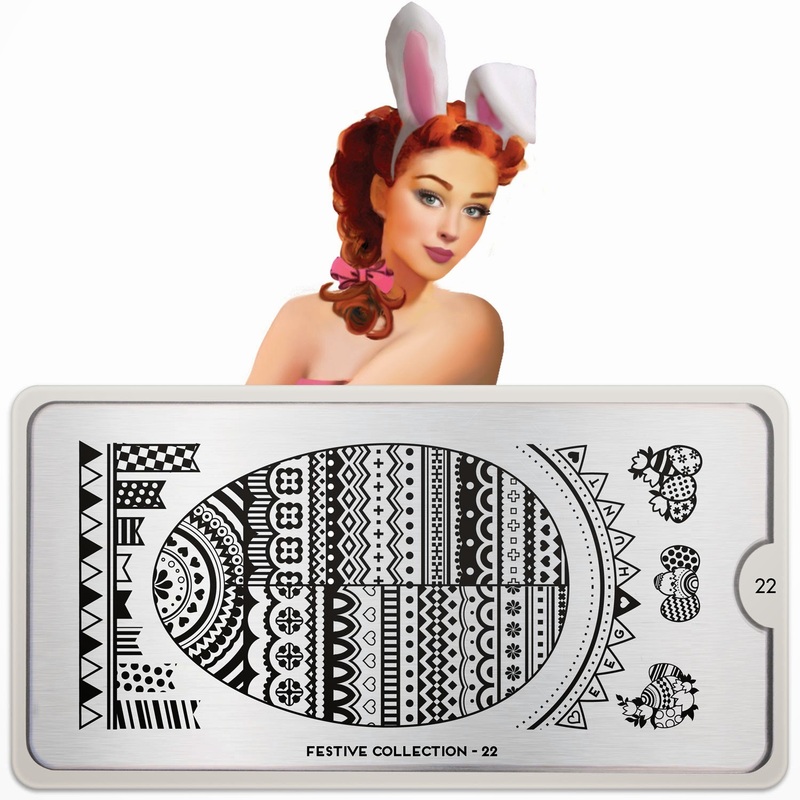 You can always wait for the the Egg Hunt plate to be corrected and as to the hello spring image I'm sure there are other plates that have those words or something similar that you can pick up.